It’s now the middle of April and summer is just around the corner for most of the U.S. Is your car ready for the summertime driving conditions and transport? You might ask, what’s the big deal about summer – do I really need to do anything different? Depending on where you live, the answer may vary, but in general – Yes! You need to get your car, truck, or motorcycle ready for the warmer conditions and other environmental changes that happen. Get new windshield wiper blades. Especially if they haven’t been changed in the last 6 months. There’s nothing worse than bad visibility when the hard spring rains come or when you’re caught in a summer thunderstorm. Spend the few bucks to ensure you can see clearly when this happens. Another great idea for windshields is to put on some RainX. This help the water “bead” and quickly stream off of the surface. Check your tire tread and inflate tires to the correct pressure. While it’s been cold outside you may not have taken the time to really pay attention to your vehicle. Now’s the time to check the tread and make sure you are safe while also maintaining the correct tire pressure – if you don’t already have one you should get a tire pressure gauge to keep in your vehicle at all times. This is a great way to keep your vehicle running efficiently as incorrect tire pressure can severely reduce your miles per gallon. Check minor mechanical issues that you have been putting off for the winter months. This will help get you through the warmer months safely and ensure that your vehicle is ready to go should you be needing to ship it. It doesn’t take much time to quickly take stock of your car or truck’s condition and take care of the small issues. Once you do this you’ll be safer on the road and ready for any real problems that crop up. If you’re going to ship your vehicle over the summer be sure to contact Cobalt Auto Services. We’re happy to help you with great auto transport rates across the U.S. and internationally. Call us toll free at 855-242-8090 or submit your free quote request form here. 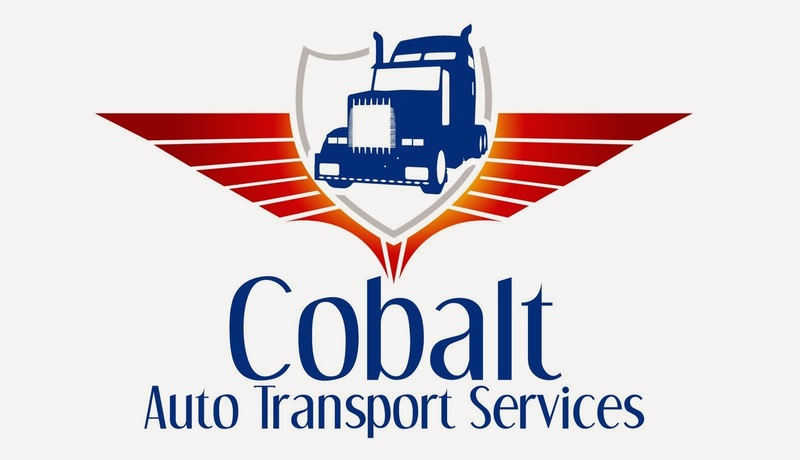 The post Preparing Your Vehicles For Summer And Transport appeared first on Cobalt Auto Transport Blog. Call toll free 855-242-8090 for your free quote or visit the site today. Going with the right company for your auto transport needs is important. Cobalt has years of experience shipping cars, trucks, motorcycles, and more – and we enjoy a high level of repeat business; something that we feel shows that customers love our service! No matter where you are heading to or from, be sure to find out about the weather patterns before you arrive. Not only is it important for YOU to be prepared, but you want to ensure that your vehicle is up to the task. For example, you may be dealing with sub-zero temperatures and rough roads that will require your car to be in good mechanical shape. Be sure to remove all personal items from your car or truck prior to shipping. Find out about your destination before leaving. This will help you be oriented when you arrive and make travelling around the new area easier. If you are arriving before your vehicle does, take the time to find out where the closest grocery store and other necessary businesses are – you’ll be glad you took the time before you left once you arrive and need to quickly grab food or other needed items! Are you ready to ship your car today? If so, you can call us toll free for your fast free quote at 855-242-8090 or visit the website and submit the free quote form: http://cobaltautoservices.com/auto-shipping-quotes/. Once you’ve submitted your request we’ll get to work finding the best route and rates for your car shipping needs. The post Get Your Vehicle Shipped To North Dakota appeared first on Cobalt Auto Transport Blog. Call toll free 855-242-8090 for your free quote or visit the site today. Whether you’re getting a car or truck moved from Seattle or Portland to AK, or from somewhere further out like San Francisco, go with the reliable car shipping company: Cobalt Auto Services! The post Expanded Options Throughout Alaska appeared first on Cobalt Auto Transport Blog. Call toll free 855-242-8090 for your free quote or visit the site today. It doesn’t matter where you need to go, or have your vehicle picked up from, throughout all of Alabama – Cobalt Auto Services has you covered! We’ve recently published more material letting our customers know that we offer our services throughout a wide area of AL and can service cars and trucks from all towns and cities in the state. So, no matter where you head in the state, we have you covered. Should you need reliable car transportation throughout the US or even internationally, we have you covered. We look forward to serving your needs the next time you need shipping services! Call us toll free at 855-242-8090 or visit the site for your free quote. The post Car Transport Options Throughout Alabama appeared first on Cobalt Auto Transport Blog. Call toll free 855-242-8090 for your free quote or visit the site today. Why Cobalt? We have excellent customer service that has resulted in many of our customers coming back time and again – they were tired of the run around from “other” auto transport companies and wanted to stick with the business that gave them a fast quote and was easy to deal with – not to mention provided them with a cheap quote for moving their car or truck in the United States and internationally. Is your vehicle running? If so, that’s great, we can load it up quickly and be on the way – however, even if it isn’t running, just let us know and we can still pick it up and get it delivered wherever you need it to go! Remove any exterior items that are not “stock” from your vehicle prior to shipping. This means taking off things like bicycle racks, extended mirrors, and other items that you have added. This will ensure the safety of your vehicle, and others, and will cut down on the time to load your vehicle. Find out about the weather before you get your vehicle delivered. If you haven’t been to North Carolina before, or wherever your destination may be, you should take the time to do a quick search to find out if anything special will be required. Will it be freezing cold? Raining? Make sure you, and your car, are prepared – appropriate clothes and full washer fluid tank for example. A small problem with the weather can turn into a real headache quickly. Once you are ready to ship your car with Cobalt, call us toll free for your free fast quote at 855-242-8090 or visit the website to submit a quote request form: http://cobaltautoservices.com/auto-shipping-quotes/. We look forward to helping you with your next vehicle shipment! The post Head To North Carolina With Cobalt Auto Services appeared first on Cobalt Auto Transport Blog. Call toll free 855-242-8090 for your free quote or visit the site today. Heading to New York? Need to get your car, truck, or motorcycle transported quickly? Go with the best in the business, use the reliable shipping of Cobalt Auto Services. Why choose Cobalt? We have years of experience moving all sorts of vehicles across the country, and even internationally through our extensive partner network. We guarantee that you’ll like our responsive customer service, fast quote time, and personalized service. Remove personal belongings prior to transport. Take out all personal belongings and remove any add ons to the car such as bike racks and anything that extends past the “normal” dimensions of your vehicle. This will ensure safe transport of your vehicle and those around it. The post Vehicle Shipping To And From New York With Cobalt Auto appeared first on Cobalt Auto Transport Blog. Call toll free 855-242-8090 for your free quote or visit the site today. If you’re moving, even temporarily, and don’t have time to drive your car – let Cobalt Auto Transport Services take care of the headache for you. If you’re heading to or from New Mexico, or any other part of the US, we can help you out with our fast and free car shipping quotes. Why choose Cobalt? Our long list of repeat customers will tell you it’s because of our fast turn around time, great customer service, and personalized service – from the initial quote to the delivery. Plan ahead for weather – have you been to NM before? Do you know what the weather will be like this season? If you’re not sure, it will pay off to do some research ahead of time and figure out what it might be like. Getting your vehicle prepared ahead of time will let you get going right when you get into town instead of having to find a shop to take care of things – which can be a real hassle in a new area. Do you know what the roads will be like in the new area? Be sure to know what the conditions are like – will you need new or different tires? These seemingly small things can make a big difference. Remove personal items before shipping. No matter where you are getting your car, truck, or motorcycle shipped to, be sure to take out all personal belongings prior to having your vehicle picked up. The post New Mexico Car Transport Options From Cobalt Auto appeared first on Cobalt Auto Transport Blog. Call toll free 855-242-8090 for your free quote or visit the site today. Visit our website: Cobalt Auto Transport Services for your free personalized quote today.